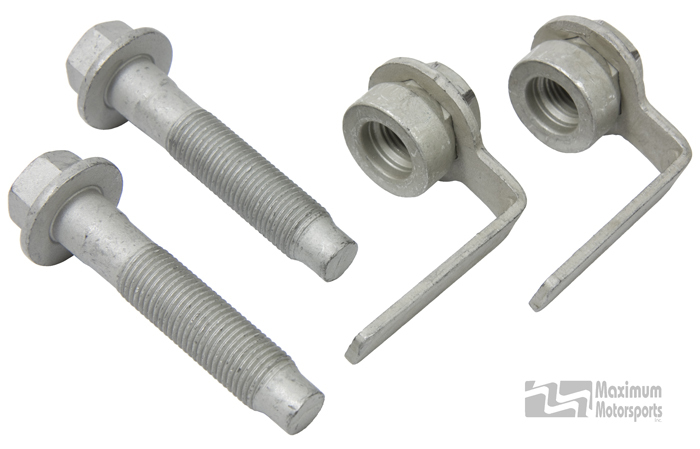 These OEM Ford nuts and bolts attach the strut to the spindle on 2005+ Mustangs. Ford lists this hardware as one-time-use only. In 2009, Ford made a production line change to fine thread pitch hardware instead of the previously used coarse thread pitch. This change also accompanied a greater tightening torque, which improved the strut to spindle attachment. This MM kit includes the latest generation design for less money than buying from the dealer. Each kit contains 2 bolts and 2 nuts; enough to attach 1 strut to 1 spindle.